The food was wonderful as always. We had a server trainee tonight. She was great as was her trainer. We love J's. Great food as well as customer service. Staff was able to work with special circumstances and provided amazin CS as well as mouth watering food. Our service was terrible. It the food good. Our waitress was mia at our table for quite a bit...my daughter had her 2nd refill of soda and I was still waiting for a glass of wine. The server’s assistant did more face time than the server. The food was good but bad service always puts a damper on the experience. 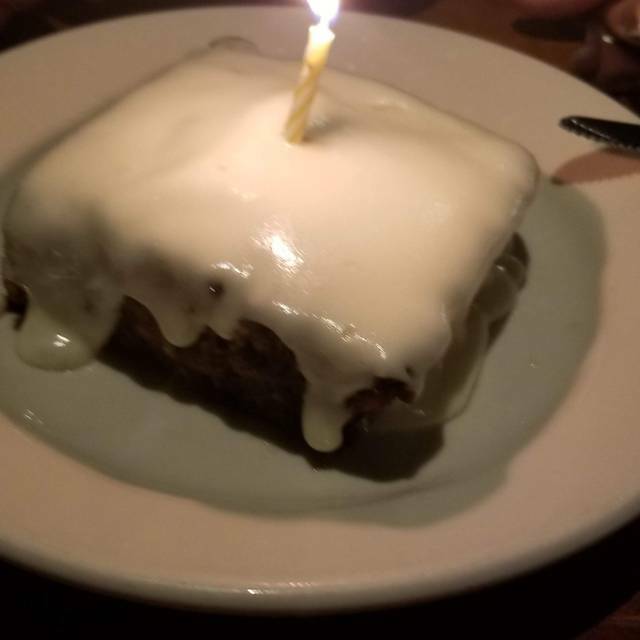 J. Alexander's is our favorite KC restaurant for celebrations. The service and food are always outstanding. The portions are generous enough to split, or take half home for another meal. Always great! Friendly service. Easy to make reservations. Everyone who works there has always been kind, professional, terrific. Food is always delicious. Served hot. Best choice for relaxed, casual dinner with really good food. Not too loud. Easy to talk with the people at your table. Will be back. We have dined at J. Alexanders at least 20 times in the last few years and this was the first time the service was off. From the front desk who forgot to enter our reservation at open table (we got a did not show message from OT) to forgetting an ordered item to not making the substitution we order on one of our meals. We love this restaurant and will be back because one bad experience will not deter us. 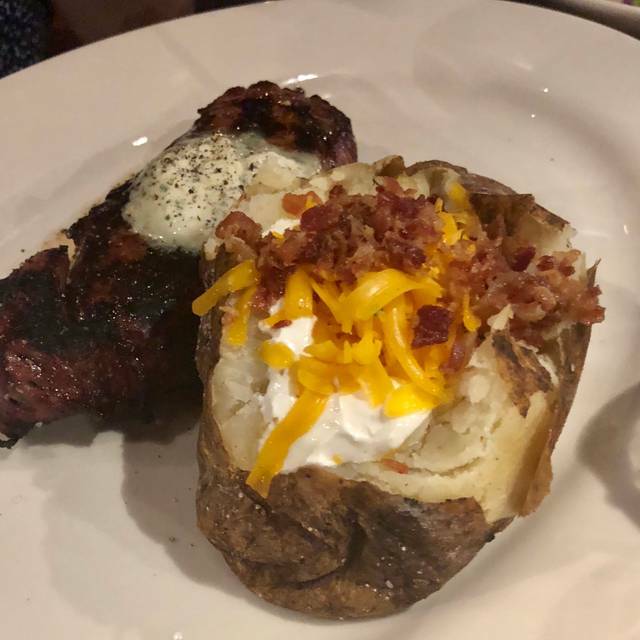 Always a wonderful experience at J.Alexanders.The food is always perfect and it doesn't matter what you order.Service is the best in Kansas City area. 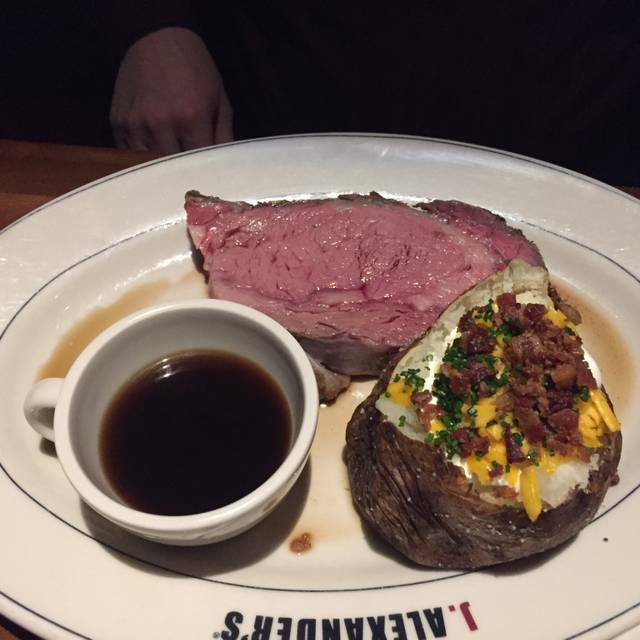 Prime rib was disappointing and restaurant was so loud hard to hear. We reserved a time, and requested a table- a member of my party uses a walker and would not be able to scoot in a booth. The hostess was friendly and advised me that the table they hoped to use was still occupied, much past typical service and they would seat us at a larger table that had chairs. I appreciated the suggestion but the table was too big, right next to the kitchen and we ended up yelling at each other over the noise of the ice being dumped, the chatter of the service and the general kitchen noise. Our server was excellent and the food ‘bullet proof’ as I like to say. Just disappointed we couldn’t hear each other. Always love coming here, such a treat. Service is exceptional and the food is fantastic. 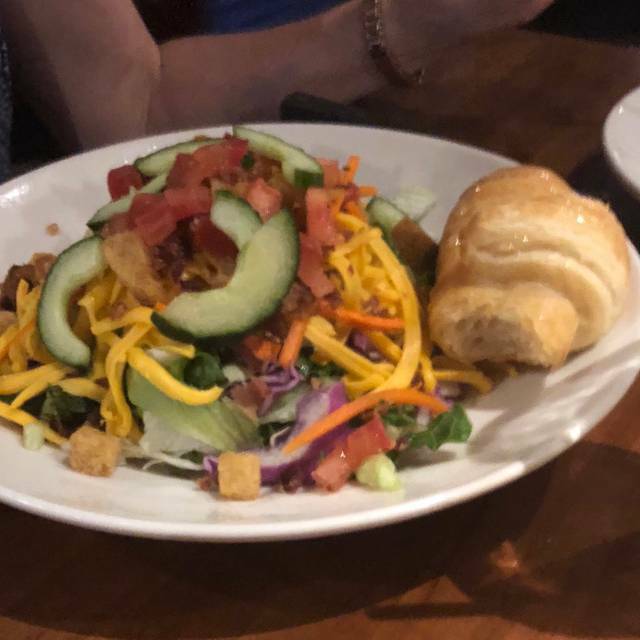 J . Alexander's is always consistent with their food and service. Despite being a crowded Friday night, the service was good and the food was excellent. Food was good. Waitress wasn't very friendly or accommodating to us. Other than the waitress, everything else was fine. J. Alexander's never dissapoints!! Food is always consistantly excellent and service professional and attentive without being obtrusive. Our server Nancy is the best!! Kat, the manager, goes to the extreme to make sure you have a wonderful experience. Amy, in the bar, is kind attentive and makes you feel as if you a friend. Wait staff is on task and exceeds your expectations making dining a true pleasure! It was good. Not the best food I’ve had as I’ve eaten there before but still good. Great ambiance and scrumptious food. 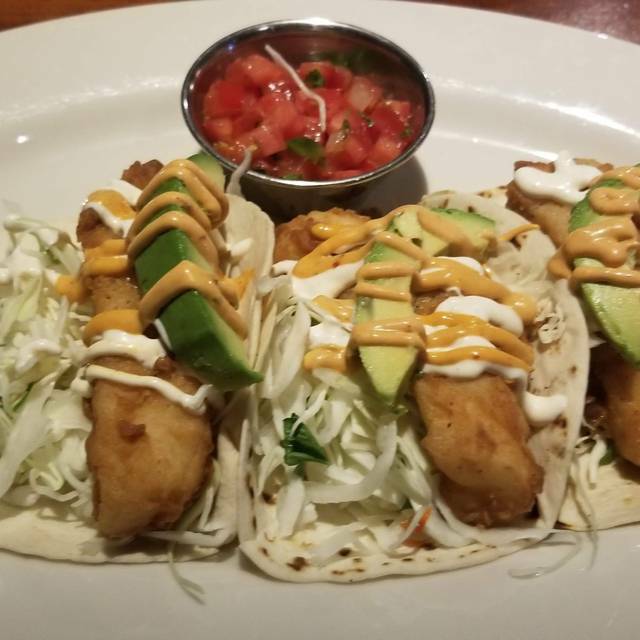 Try the calamari as an appetizer and you won’t be disappointed. Service was exceptional, as always, as J’s places a high standard on attentiveness. This was the perfect place! I was with my son, who is recently returned from a deployment to the Middle East. The service was friendly, attentive and unobtrusive. The food was wonderful. We were able to visit as the noise level was low. Our experience was way below expectations for the amount we were charged for the meal. My wife had the salmon that was not completely cooked, the accompanying rice/vegetable mix tasted weird and the broccoli we ordered tasted funny. She ate less than half her meal. I had the steak/fries meal and was underwhelmed. However the carrot cake was excellent. Service started out slow, but we ended up having a nice chat with the waitress. 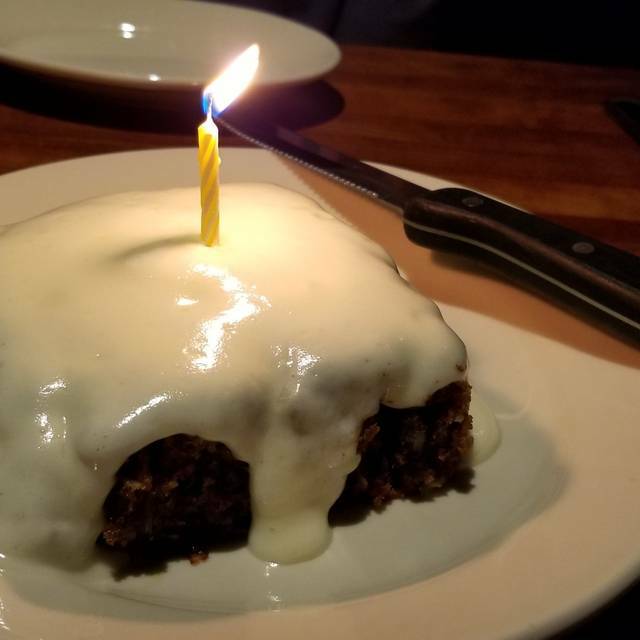 We celebrated my husband's birthday at J Alexander's and enjoyed our dining experience very much. We brought our own wine which was nice and spent a couple hours enjoying our date night. We were not rushed at all and the ambiance as well as food and service were all excellent. This was our first time eating here and the atmosphere was great, the service was terrific! 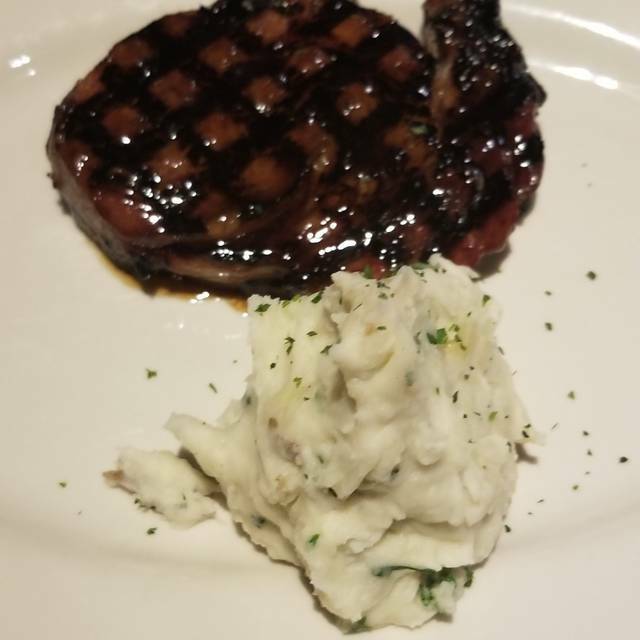 We thought the food was delicious but we felt both our steaks had a little to much fat and were more medium rare verses medium. We will definitely return. Fun homey place to go. Good food and drinks. Service a little lacking. Great place to have dinner. Food and service was terrific. Would highly recommend. The salmon was cooked perfectly. I invited a friend to dine with me that had never tried the salmon and she's a fan now too! J's is one of the best restaurants in the KC area. Never a disappointment! 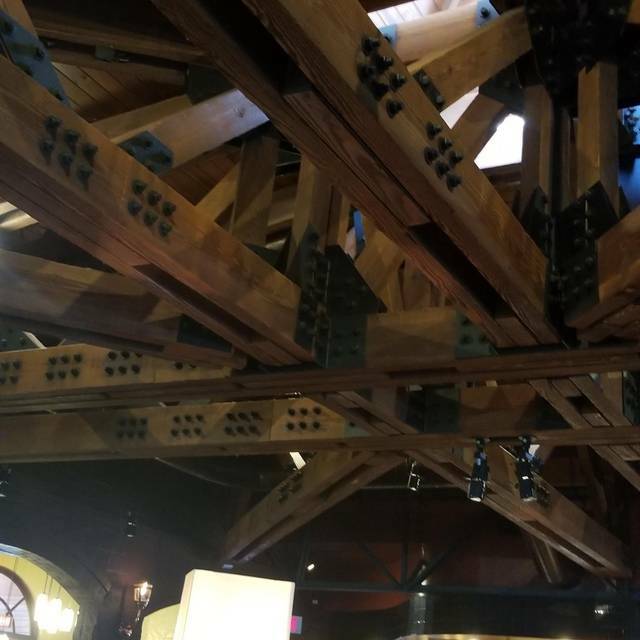 Great dining experience and atmosphere. Service was excellent! We will not be going back unfortunately. Over the past couple of years there is too much inconsistency with the food. We ordered 2 filets medium rare and both were well done! They made us new ones which we got 25 minutes later after the other members of our party were finished eating. The new steaks were raw, and we can eat a rare steak, but this was ridiculous! I’m not one to ask to be compensated, but when you order 2 of the most expensive item on the menu you expect it to be cooked right or taken off the bill. I ordered the prime rib sandwich when it came it was much smaller than the prime rib sandwich that someone else at my table ordered. I said something to the waiter. He offered to get me another but I said I didnt feel like waiting while it was cooked. I continued to eat even though I wasnt really happy with it. The waiter must have said something to the manager because he came over and took my plate. Was back with a new prime rib very quickly and it was much bigger. I was very impressed with all this. David, our waiter was awesome! The food was excellent and the carrot cake and key lime pie were the best I have eaten! I would recommend eating here to anyone! Ordered the Cajun Mahi Mahi fish special. Outstanding!! I felt we were well cared for and the food was excellent. The music change from jazz to the noisy, beat heavy music is not a great ambiance. Love the Food and the Service was great! Always a great place to meet for Lunch or Dinner! Great place! Good food, service and ambience. We’re regulars. The service was excellent. The food was great. 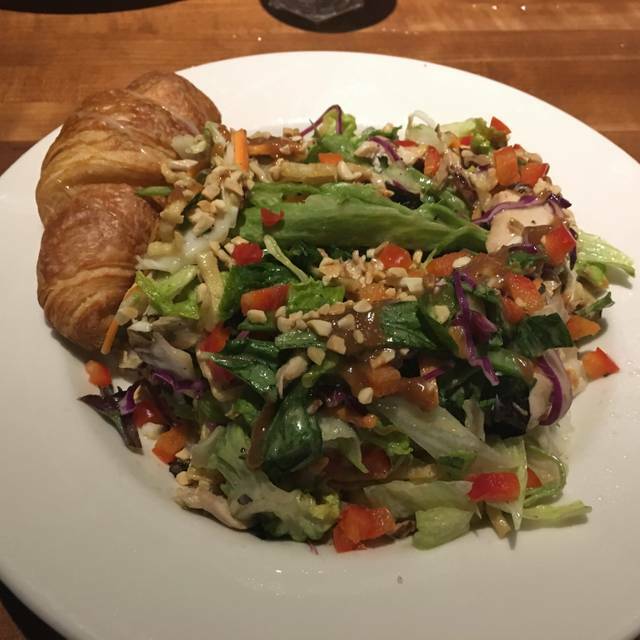 Have the best house salad in town. The heirlooms carrots were amazing.